four sweet kids..two with diabetes: Walk to Cure is THIS Saturday! Walk to Cure is THIS Saturday! Illness struck. It came in like lightning, but stayed like a flood. : ( It has been no bueno with our family this week. Ethan had the tummy bug last weekend, Carter started Sunday, Mary Claire and Clay on Monday..and Momma on Tuesday. Blech! Praying for strength to keep going. I sent an email out to walkers today with all the details (where to park and where to go, when to arrive, when to register, when to show up for pictures! ..what to wear, a map, and all of the fun things to do there, etc.)! We are so thankful for the friends and families who are supporting our family this year! From scouts to church and school friends, old friends and new friends..we are blessed. I'm so thankful Clay will have at least a couple friends walking with him. He felt left out last year right after diagnosis. In a hot pink shirt. If you are walking with us, THANK YOU!! We are so excited! The high is only 70 degrees, so it may not be so warm on Saturday morning..we are hoping to get some hot chocolate for you! If you aren't walking with us, please say a prayer for us! For everyone's safety as we walk (on the UA campus streets! ), for a CURE for our kids, and for all the teams to have fun and cheer each other on..no competition. ; ) I love all our JDRF kids, and I can't compete. 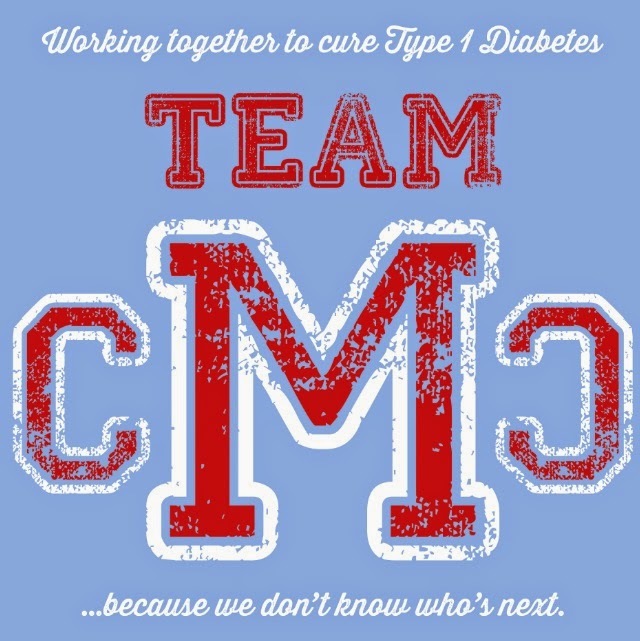 We are cheering for Team CMC from here in Little Rock! Thank you for your letter on updates!